There’s ample research and deep thinking around benefits management. If you or your teams are struggling with benefits management, it pays to brush up on what’s working for others and think through the best way to approach this for your unique circumstances. The payoff could be substantial. Mike is globally recognised as an expert in modern portfolio, programme and project management practices. 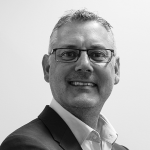 He has a passion for Best Practice governance and has worked in UK, Sydney and Melbourne. He is a sought after trusted advisor and consultant on portfolio, programme and project management and related PMOs. He is also one of Australia’s leading expert facilitators and recognised as a public speaker keynoting many business events.